The Fannin County FFA Farm Business Management Team recently competed in the Area I FFA Farm Business Management Career Development Event. The event was held at Summerville Middle School in Summerville, GA on November 7, 2017. 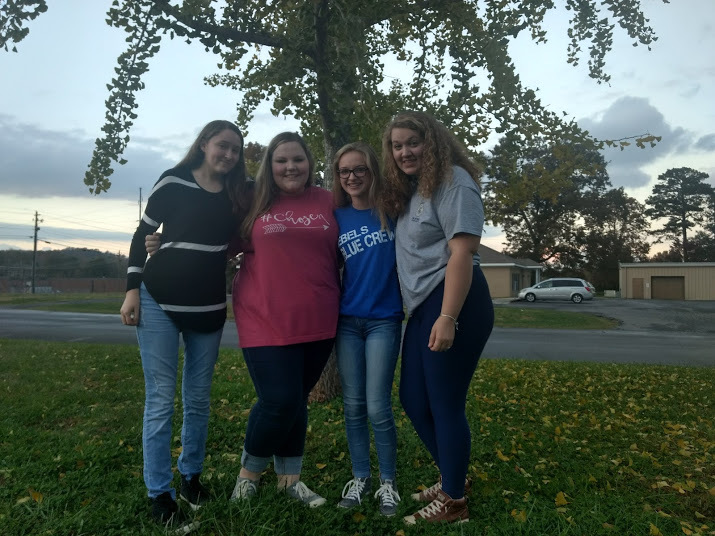 Farm Business Management team members are Tayelor Long, Shelby Pierce, Hannah Ritchie, and Emily Thomason. The Farm Business Management Career Development Event develops the abilities to apply the economic principles and concepts used in analyzing farm-ranch business management decisions. This team placed 4th in the competition out of 20 teams. FFA is a national organization of over 600,000 members preparing for leadership and careers in the science, business and technology of agriculture. FFA is an integral part of the agricultural education program in public schools. The FFA mission is to make a positive difference in the lives of students by developing their potential for premier leadership, personal growth and career success through agricultural education. Rhonda Mathews is the Fannin County FFA advisor Young Farmer Advisor who coached the team. The Farm Business Management Career Development Event is sponsored by the Georgia Development Authority as a special project of the Georgia FFA Foundation.